Palmako Ines 2 Log Cabin: The Palmako Ines log cabin features the superb Bi-Fold Doors with there extra low sill covered by a protective Stainless Steel Finish. The Bi-Fild doors are fully glazed featuring 3mm/9mm/3mm Double Glazed Units. 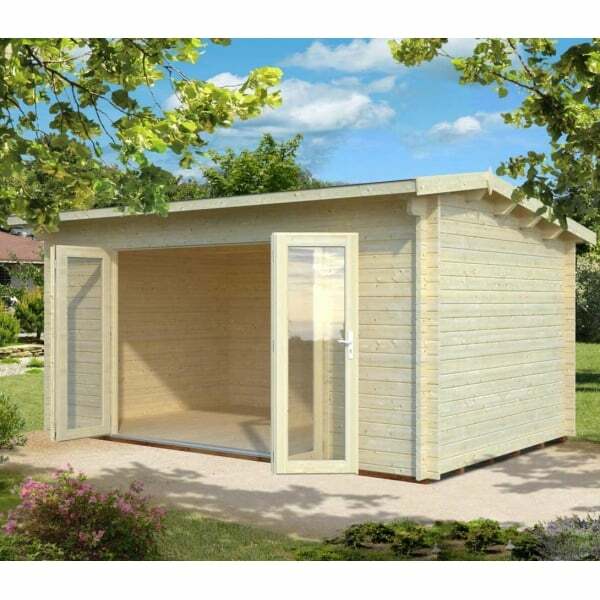 This garden building offers many potential uses but is a beautiful Summer House style Log Cabin.